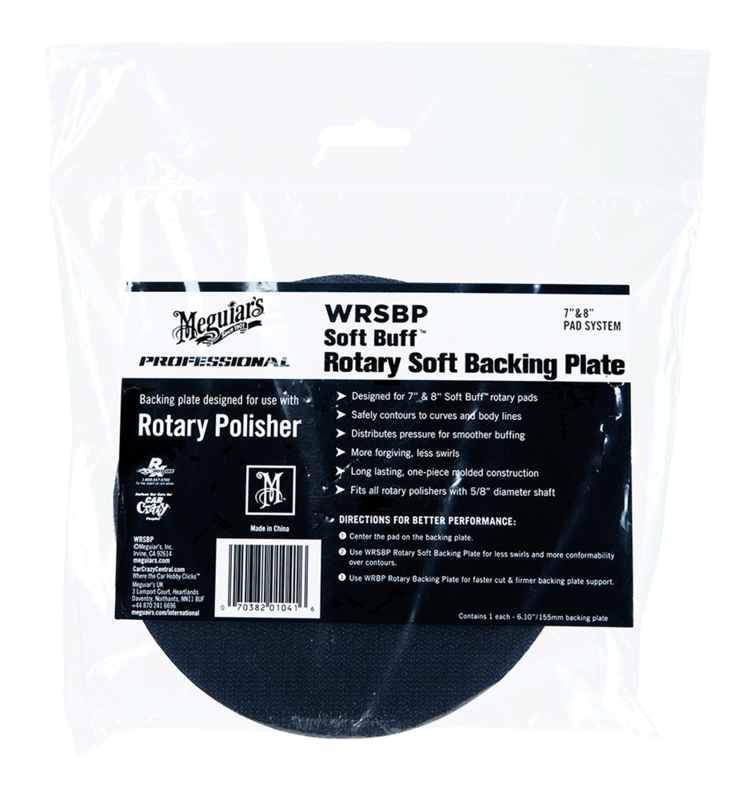 Meguiars WRSBP Rotary Soft Backing Plate - 155 mm is designed for 7" & 8" Soft Buff rotary pads. Safely contours to curves and body lines. 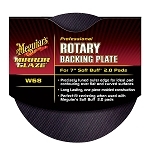 Distributes pressure for smoother buffing resulting in more forgiving and less swirls. Long lasting, one-piece molded construction. Fits all rotary polishers with 5/8" diameter shaft.